We, at DNMark.com, have given our best to create a robust phpBB-optimized hosting platform. We offer ultra-fast and secure hosting servers, a single-click phpBB installation and a terrific client care service. Our phpBB-optimized web hosting packages start at $2.75/month and feature a FREE domain registration. 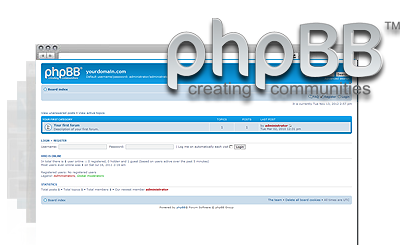 phpBB™ is a trademark of phpBB Limited and is not connected with DNMark.com. DNMark.com guarantees you a hassle-free phpBB web hosting experience! DNMark.com meets and exceeds all prerequisites for hosting phpBB-powered Internet forums.